We’re super happy to announce the new product testers selected for the NMaybelline Color Show Nail Falsies. As they say, do you want to get your nails done? If so, we’re super happy to announce the new product testers selected for the Nivea Nail Laquer. We were just wondering if you’re ready to have your legs be lush and bronzed. Well if yes, we’ve just selected our product testers. Click on the below link and check if you are one of the lucky selected testers. Were You Selected to Test a Product? We know just how much you love testing products and having your opinion matter with the companies who create said products. As such we are super happy to announce the that we have just selected the new testers. Please go through this list and click on the available link. You will be sent to a different webpage where we have listed all the members who will be receiving products to test. Enjoy, and let your voice be heard! Click here to see if you are among the selected testers. Lucky Testers Lucky Testers Selected for Kleenex Mini! 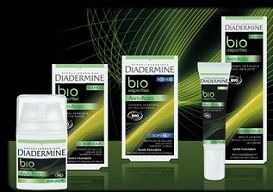 Lucky Testers for Diadermine Bio Expertise revealed! Please see the lucky testers for the Diadermine Bio Expertise!